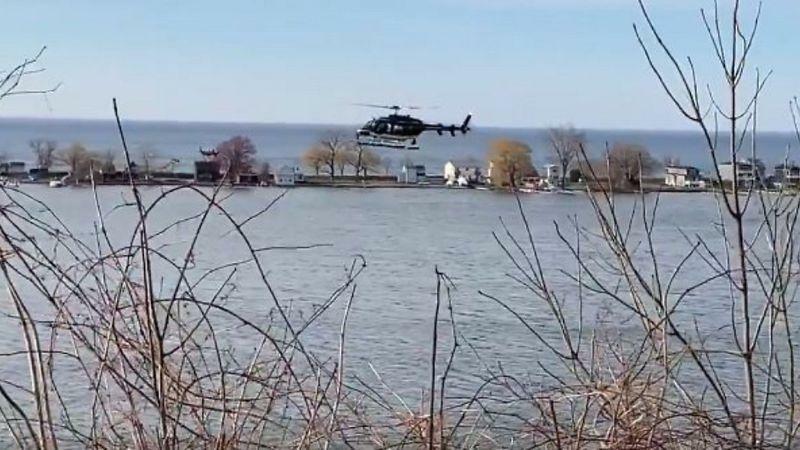 Authorities say they have recovered a body in Irondequoit Bay, believed to be that of a 27 year old Henrietta man who was in a canoe that capsized on Saturday. Monroe County deputies say that shortly after 5pm on Saturday, they responded to a report of a capsized canoe in the bay, about 100 feet from Stony Point Marina. In addition to the sheriff’s department SCUBA team, the Coast Guard, State Police, Webster Police, and the West Webster and Ridge Culver fire departments also responded. Deputies say that three young men were canoeing in Irondequoit Bay when the canoe capsized. Two of the men resurfaced and one did not. The other two called for help from a nearby residence. Side scan sonar and a search by air with Coast Guard and State Police helicopters were used on Saturday. Officials say that the temperature of the water in the bay ranges from 32 to 40 degrees. The depth of the water in that area is around 5 to 6 feet. The body of the person recovered by first responders has been taken to the Monroe County Medical Examiner's Office. The name of the person has not been released pending positive identification.